PULLMAN, Wash. – Parallels between past- and present-day concerns – and how literature helps illuminate them – will be discussed by Washington State University English professor Donna M. Campbell in “Edith Wharton’s Two Americas” at 5:30 p.m. Tuesday, Feb. 21, in Goertzen 21. The free, public presentation is cohosted by the Humanities Planning Group (HPG) and Honors College. Author Wharton grew up wealthy about 100 years ago in the “Gilded Age,” said Campbell, one of three WSU humanities fellows for 2016-17. Wharton wrote about the “haves” and “have nots,” examining her characters’ responses to aspects of poverty, homelessness, racism, vote suppression and suspicion of immigrants. “Understanding the times she wrote about, the history of the period and society shows how things were, how they got better or worse and that in many ways there are strong parallels with our own times,” Campbell said. The presentation will have two parts: Campbell’s fellowship research project editing Wharton’s “The House of Mirth” (1905) for the 30-volume series, “The Complete Works of Edith Wharton” (Oxford University Press); and creation of “Digital Wharton,” an interactive exhibit for general readers. Campbell researches and teaches American literature of the late 19th and early 20th centuries. 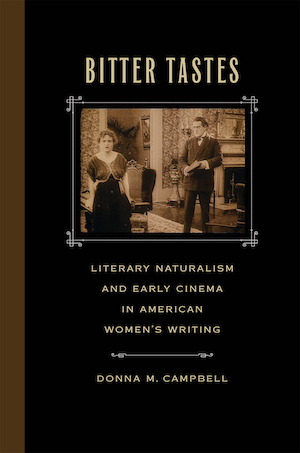 She has published books and articles, including, “Bitter Tastes: Literary Naturalism and Early Cinema in American Women’s Writing” (University of Georgia Press, 2016). Other WSU humanities fellows this year are Joseph Campbell and Patricia Glazebrook. They were selected by the HPG from submitted proposals. Each receives a $12,000 grant funded by the College of Arts and Sciences to promote research and encourage pursuit of external funding for humanities research. Note: This event is currently at capacity. Registered attendees will be admitted up to capacity on a first-come, first-served basis. A recorded broadcast by C-SPAN will be made available to after the event for those who are unable to attend. · Both Reesman and Hodson will be presenting on Jack London and his photojournalism. · Campbell will be presenting on Jack London’s literary influences on the American imagination and his relationship to other western fiction writers. · Blodgett will be presenting on the history of the late 19th and early 20th centuries in California and the historical and cultural events that shaped Jack London’s literary themes and lifestyle. With fellow panelists Jeanne Campbell Reesman (UTSA), Peter Blodgett (Huntington Library), and Sara S.Hodson (Huntington Library), I spoke last night at the inaugural event of The Bill Lane Center for the American West at Stanford University. A great audience turned out for the talks, which will be broadcast on C-SPAN in October. Our thanks go out to the Bill Lane Center for the American West, Marc Levin, Bruce E. Cain, and Preeti Hehmeyer for this wonderful experience.